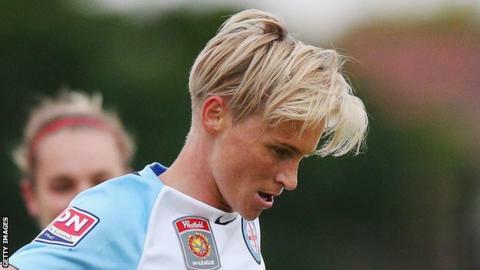 Wales midfielder Jess Fishlock is to return to Melbourne City for a third season in Australia's W-League. The 30-year-old will also continue as an assistant coach, having filled that role towards the end of 2016-17. Fishlock helped head coach Patrick Kisnorbo to guide the club to a second successive title last season. "City provides the perfect environment for me to continue my development as both a player and a coach," said Fishlock, who has won 101 Wales caps. "To see the progress we have made is something that makes me not only proud, but extremely motivated to achieve more." Fishlock is the first Welsh footballer to have reached a century of caps. She has returned to Wales as they prepare to face Russia in St Petersburg on Thursday, 24 October in a 2019 World Cup qualifier.